It’s not exactly philosophy, but at least NPR’s website considers the changes in gender as an organizing category of human social life. The coverage reminds me of my gender-studies students’ intrigued but puzzled reactions to reading Anne Fausto-Sterling’s arguments, in Sexing the Body, that gender tyranny can be reduced by public conversation, social activism, and the organized efforts of the “gender lobby.” “Are we in the lobby?” a young woman asked me. Maybe not yet, but they were certainly part of a public conversation. As Fausto-Sterling says, “my vision is utopian, but I believe in its possibility” (114)! And note, before you post a comment that we cannot get rid of gender, that neither NPR nor Fausto-Sterling call for the disappearance of difference; they note the reduction of tyrannical rigidity, which is surely something else. Cameron and his deputy, Clegg, were setting up a photo op in Guy’s Hospital, London. An NHS doctor, David Nunn, objected in strong terms to the resultant rule violations. The doctor appears now to be on leave. An article by Sundya N. Bhanoo in the NY Times seems to advance the startling idea that one bird study might revise our ideas about the effects of childhood bullying across biology. Or perhaps we are seeing the influence of grant-application speak..
Boobies are marine birds that typically lay two eggs that hatch four days apart. During a four-month nesting period, the senior sibling is known to peck and attack its junior sibling incessantly until the younger bird becomes habitually submissive. Senior chicks end up gaining an advantage in terms of size, strength and motor coordination over their younger siblings. 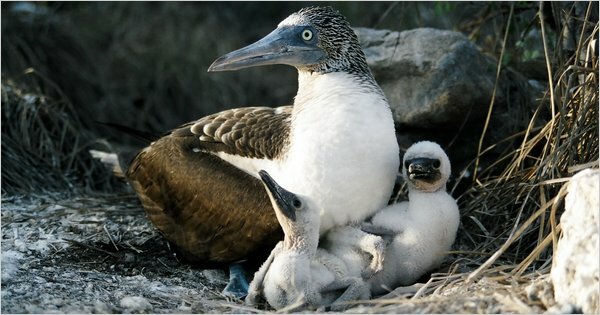 Mr. Sánchez-Macouzet and his co-authors studied adult boobies between the ages of 5 and 13 off the Pacific Coast of Mexico. As adults raised chicks of their own, the researchers presented them with a stand-up cardboard model of an intruder held about 35 inches away. All boobies, regardless of birth order, instantly responded with aggressive displays. The study suggests that aggressiveness in vertebrates might not be affected by early childhood bullying, as many biologists and psychologists generally assumed, Mr. Sánchez-Macouzet said. This last comment is quite possibly part of the next grant proposal.